Qatar announced recently that it would be permit visa-free entry for citizens from a massive 80+ countries, in a move that is expected to enhance air transport and tourism in the country. 33 countries whose citizens can gain a visa waiver on arrival, that is valid for 180 days. While the waiver for nationals from the 47 other countries is valid for 30 days. This proactive Qatar Tourism Authority induced measure, will facilitate visitor arrivals for the FIFA World Cup in 2022 and immediately support the development of Cruise Tourism by making the Immigration process passenger friendly and cost effective. Moreover, it will attractive a multitude of source markets. Also noteworthy of this recent proactive move of Qatar was to eliminate the Visa of Arrival costs that used to cost 100 Qatari Riyal per person. 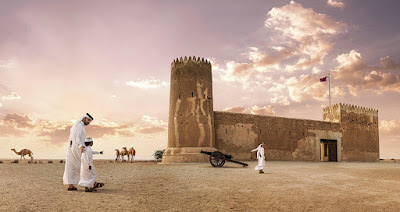 Qatar now claims to be the most open country in the GCC block and it will be interesting to see if it's neighbors like Saudi Arabia and the UAE will follow suit to attract more Tourism in their respective destinations. On that topic we fully expect Saudi Arabia to offer Tourism Visas within 2018.